The 100 Series Power Lift Kit is designed to make your winter work load more convenient and enjoyable. 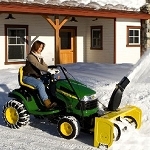 It is compatible with your L, LA and D Series Snow Blower and replaces the lift/lower handle. 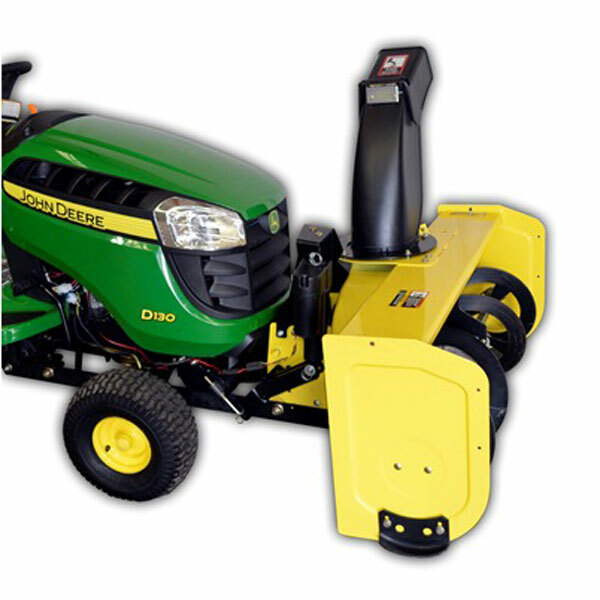 The kit is easy to install and utilizes a single electric actuator to effortlessly raise and lower the snow blower. Because the 100 Series Power Lift Kit is self contained on the snow blower frame, removal is as simple as removing the snow blower and disconnecting the wiring. The kit further increase the usability of your snow blower with controlled down force which allows you to provide limited down pressure for packed snow and fixed lift height adjustment. Convenience is at your fingertips with the dash mounted controls. The lift kit raises the attachment to a height of 4-6 inches (depending on tractor model) which aids in curb management and trailer loading. Expand the possibilities of your tractor and get more done! Kit Will Not Fit 2017 or newer snow blowers. This is a wonderful addition to the snowblower. I can now clean the snow without suffering sore shoulders and pulled muscles. This kit is easy to install and worth every penny I spent on it. I would recommend it be included as an option for all John Deere snow blowers. This snow blower lift kit works great. It comes with heavy duty steel mounting parts, heavy duty electric actuator, switch/wiring and all needed bolts. The main advantage to installing this kit compared to installing your own winch is that this allows you to open the hood completely. We just had over 6 inches of wet heavy snow and it was great to lift the blower from the cab when needed. Arrived in a timely matter and fit the tractor perfectly. Makes snowblowing a lot easier.